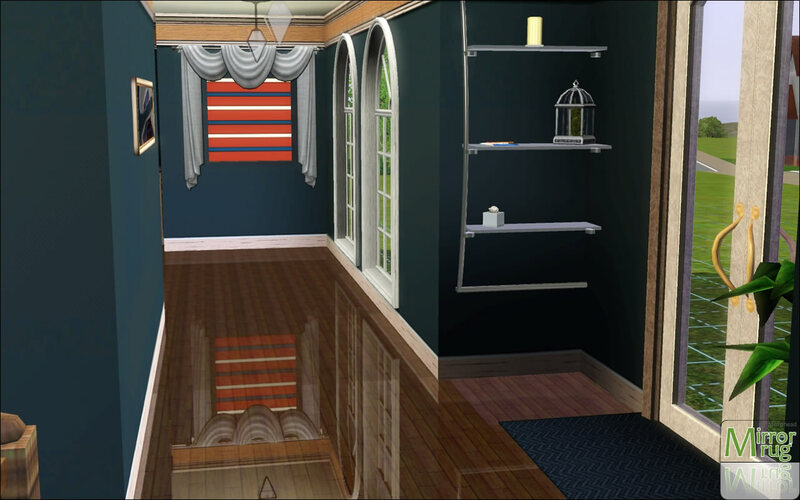 First and foremost, a HUGE Thank You to Inge, Inge_Jones here,, of Simlogical, for helping me with the mirror problem! Before asking a question please thoroughly read the post. Chances are great it has the answer. Don't continue on until you've read the above. If you've read the All the above, continue reading the entire post. 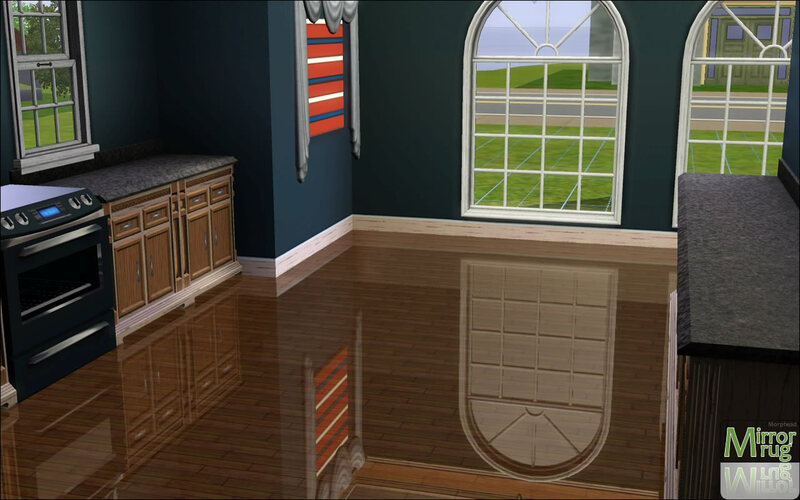 As the title states these are true reflective floors. It is the child of hard work and dedication from Morfhead Research & Development. These beautys from Laviance Creations is the flagship product of the new company. With items like these we can expect big things from LVC. These work instead of flooring. So lay them down and use the Create-A-Style Tool (CAST) on the rug tiles. Find in Decor -> Rugs. 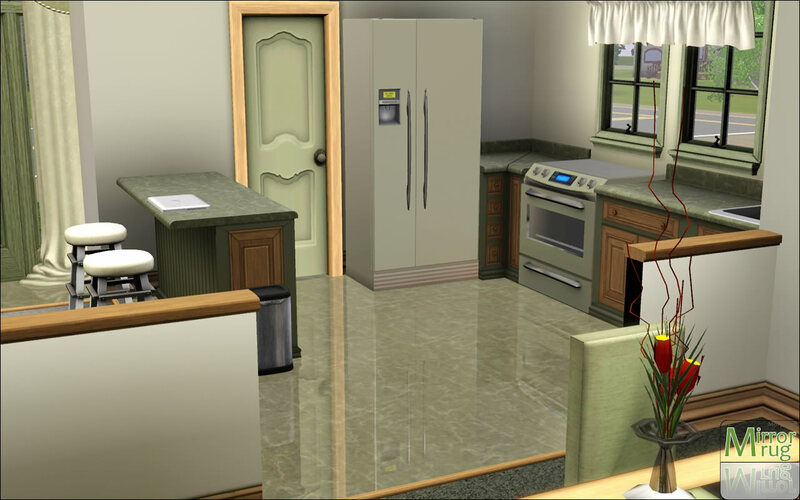 Make sure to have a subfloor, else your Sims will get the unfinished debuff. Choose the $0 flooring. 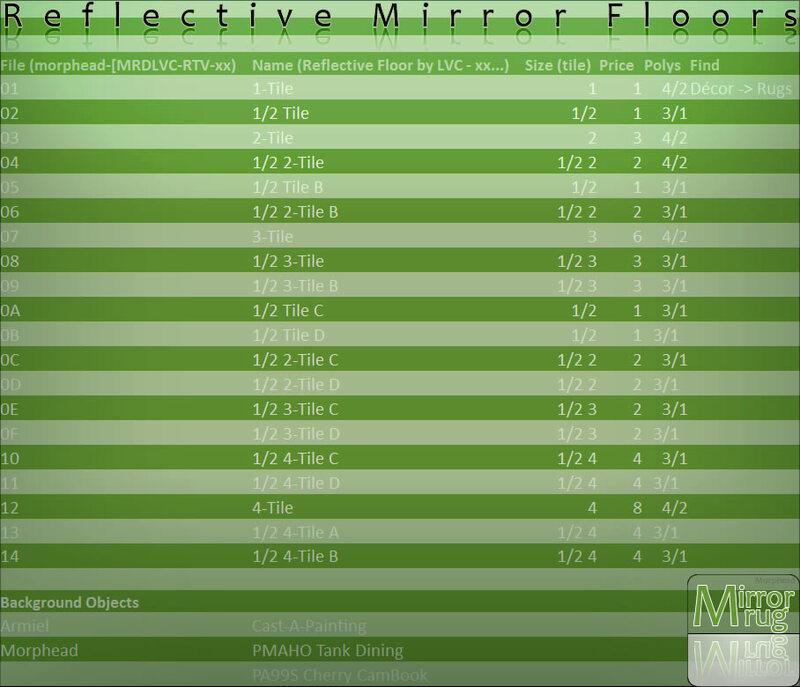 U 1.1 - Many people have stated the reflection was too high. So I adjusted the settings and offer a version, GLM-R5, with less shine. See the last two pictures for comparison. U1 - I had not the foresight to create enough pieces. 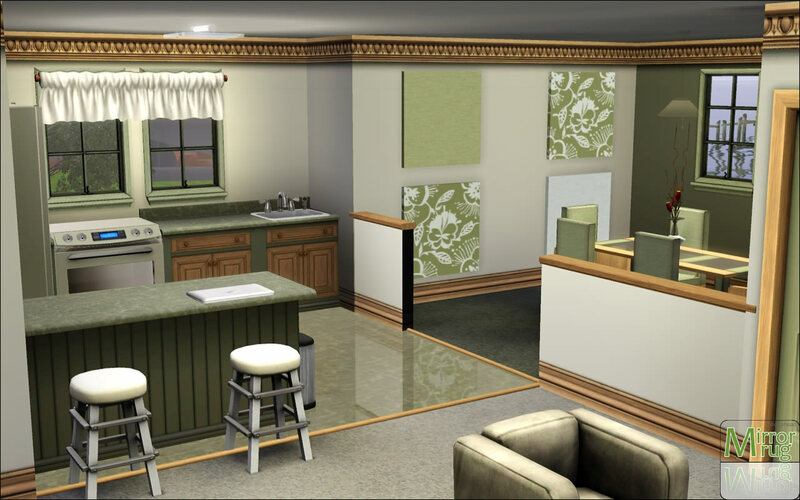 I didn't realize I needed a different half tile for different types of corners, so I added those. I also expanded the set up to 4 tiles large. Please re-download if needed. Looks really beautiful. But could you tell me if and how does these differ from Murano's reflective floor mirrors? I have those and I'm pondering whether or not to replace them with these. Thanks. Thank You everyone! I hope to continue to bring amazing stuff. The differences are fairly minor, this is simply a free alternative. Try one or two of them and see how you like it. Make the choice for yourself.